The Kazakh government’s failure to explain a number of recent attacks has fuelled talk of an Islamic terrorism threat to the country. A series of mysterious, unexplained attacks in Kazakhstan has prompted speculation there that radical Islamists, until now unknown in the country, might be gaining a foothold. While there’s little to suggest that is the case, the government’s incomplete and implausible explanation of the violence – apparent attempts to assuage foreign investors – has created a vacuum in which rumours have run wild. The string of violent incidents began May 17, in the far western city of Aktobe, when a 25-year-old man blew himself up inside the local headquarters of the domestic security agency KNB (the successor to the Soviet-era KGB). The authorities quickly announced that the bomber, Rakhimzhan Makhatov, was an organized crime boss who killed himself ‘with the aim of avoiding responsibility’ for his actions, police officials said. The notion of a mafia suicide bomber was received with a great deal of scepticism in Kazakhstan, and when local journalists investigated they found that Makhatov had become increasingly religious over the last several years, for example giving up music and joining a conservative but informal religious organization. A week later, a car blew up outside another KNB office, in Kazakhstan’s capital city, Astana, killing two men in the car. The two apparent perpetrators of that attack had Russian names and were described by government officials of being of ‘European appearance,’ making it apparently less likely that the attack was Islamist-related. While government officials denied that even the first attack might be the work of radical Islamists, their actions suggested they might have believed otherwise. The government reshuffled the heads of state-controlled Islamic institutions in Aktobe, and parliament rejected a proposal to deploy a token four-person group of military officers to the NATO-led mission in Afghanistan. 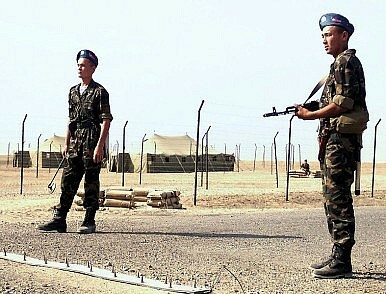 Just days after the Aktobe attack, the Taliban issued a statement warning Kazakhstan against deploying officers to Afghanistan, saying ‘the Muslim people of Kazakhstan should stand against this wrong policy of their rulers and should not let their believing Muslim sons fight against their Muslim brethren.’ That warning, plus the two suicide attacks, appeared to spook Kazakhstan’s legislators. While normally the parliament is a rubber stamp for the president, Nursultan Nazarbayev, they voted down the proposal to send the troops to Afghanistan. ‘It would be inadmissible to turn Kazakhstan into one of the targets of world terrorism,’ wrote one member of parliament in a newspaper piece explaining his opposition. The mystery around the attacks has deepened in the weeks since, as a series of gun battles in the rural Aktobe region have resulted in more than a dozen killed, including four police officers. There has been even less information about those incidents, but government officials claimed that they involved a criminal group that was stealing oil by siphoning from pipelines. The officials added, enigmatically, that the group was ‘using religious ideas as a cover,’ an implausible explanation that did little to quell the rumours of Islamist extremism.